Epiphany has a busy calendar. The photos shown here are just a sample of annual events. A quiet and contemplative service that offers a welcome respite from our busy lives. The service includes reflective scripture readings, hymns and music from Taizé music as the Epiphany choir leads us in song. 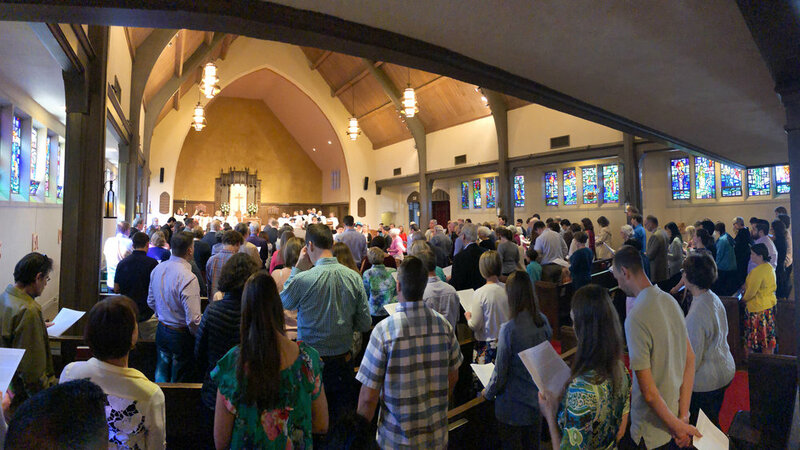 We gather in the evening to eat pancakes, “bury the Alleluia banner” (we won’t say “Alleluia” again until Easter) and burn the palms from the previous year’s Palm Sunday for the next day’s ASH WEDNESDAY services. At the beginning of Lent, we gather to reflect upon the meaning of the season. Many people come to services for the imposition of ashes. We begin Holy Week by gathering in Burton Park across the street. We distribute new palm fronds and then walk back to the church, while singing and playing instruments - all in remembrance of Jesus’ entry into Jerusalem. After the service we take our annual parish photo. Easter is the most important day in the Christian calendar. We celebrate with services Saturday night (the Great Easter Vigil) and Sunday morning with joy and special music. Many family members return home for this holiday and visitors are always most welcome. After the Easter Sunday service, we share cookies and lemonade while the little ones enjoy an Easter Egg Hunt. Once a year, everybody brings their dog, cat, bird, or other animal friends to church for a blessing and some fellowship. Our pet friends are welcome to join us in church for the service. Each Labor Day weekend, over 70 members of the Parish head to Bishop’s Ranch, a beautiful retreat center in Healdsburg owned and managed by the Diocese. All ages (infants to Seniors) enjoy fun activities together. Each year on Christmas Eve we have a fun pageant with our young people helping to tell the Christmas story at our afternoon service. A somewhat more “serious” celebration takes place Christmas Eve at 10pm and Christmas Day at 10am. All services include beautiful carol singing. 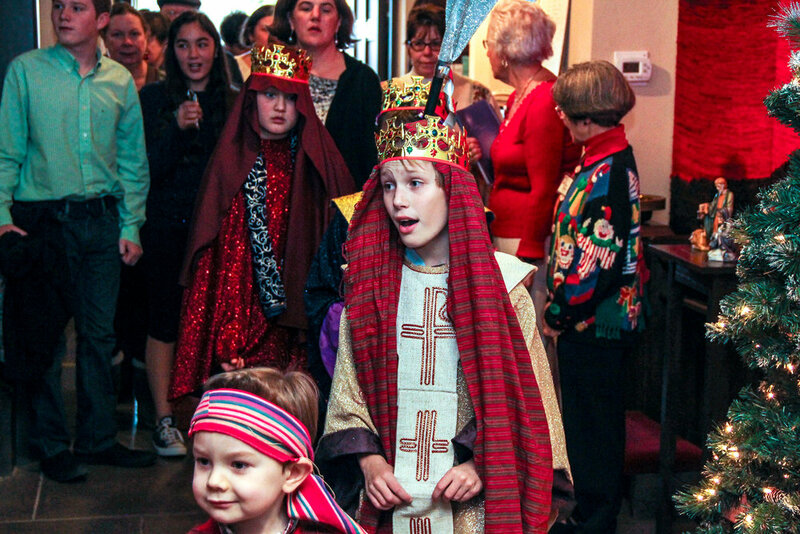 The Feast of the Epiphany celebrates the visit by the wise men to the baby Christ. It is the name day of our parish, and we usually have some special fun. Yes, God does work in mysterious ways, which means you never know who may show up to worship, especially on our Feast Day.